One summer day last year, while repeatedly surrendering to the unraveling of mid-life, I found myself caretaker of two caterpillars, one monarch and one black swallowtail. As they munched and grew on my screened porch, I was able to watch them molt to their pupa state, the chrysalis. Did you know that a caterpillar must break itself open to become the chrysalis? So they can become less themselves and more themselves at the same time? It was incredible to see. This liminal space, this in-between became a powerful image to me as I waited and watched throughout the day, meditating and praying with the chrysalis in front of me, but also in my heart, spirit and mind. I researched what happens to a caterpillar while in the pupa state. I found scientists who have been able to record the sounds from within a chrysalis. It is heartbreaking to hear. Nearly two weeks later, I watched the monarch emerge (I missed the swallowtail, sadly). 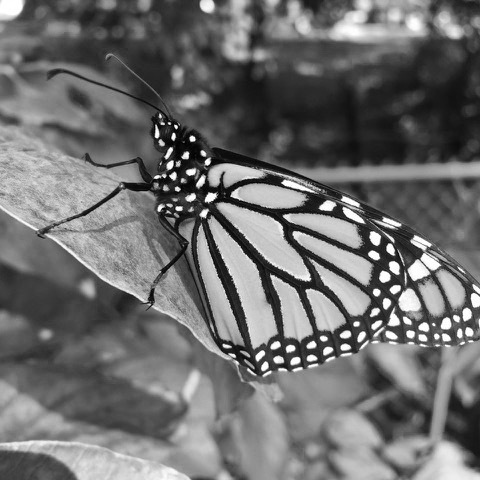 The slow and painful process of exiting the chrysalis had me mesmerized.Finally, after the wings had dried, stretched and strengthened, the monarch butterfly took short flights for another hour, then was gone forever. For my birthday that fall, my husband planted a butterfly garden in our backyard so that I can continue raising them. Currently, there are hundreds of caterpillar eggs covering the milkweed plants. I can’t wait to see it all unfold again. 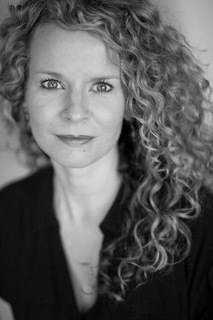 Allison Cloud is a creative and contemplative from Kansas City, who enjoys roles as teacher, leader, wife, mother, gardener, lifelong learner and community theater actress. She serves as Assistant Director of a large KC-area homeschool academy in order to provide them with enrichment and social experiences. When not pursuing these endeavors, Allison raises her four sons, plus butterflies on her porch. She is beginning spiritual formation and spiritual direction certification through Souljourners and the Benedictine Sisters at Mt. St. Scholastica in Atchison, Kansas this fall. Connect with her on Instagram @alcloud. This entry was posted in Contemplative Activism, Reflect and tagged pause, strength, surrender, transformation on September 7, 2018 by Betty McGuire.